Elizabeth Warren is slated to visit several Iowa cities this weekend. 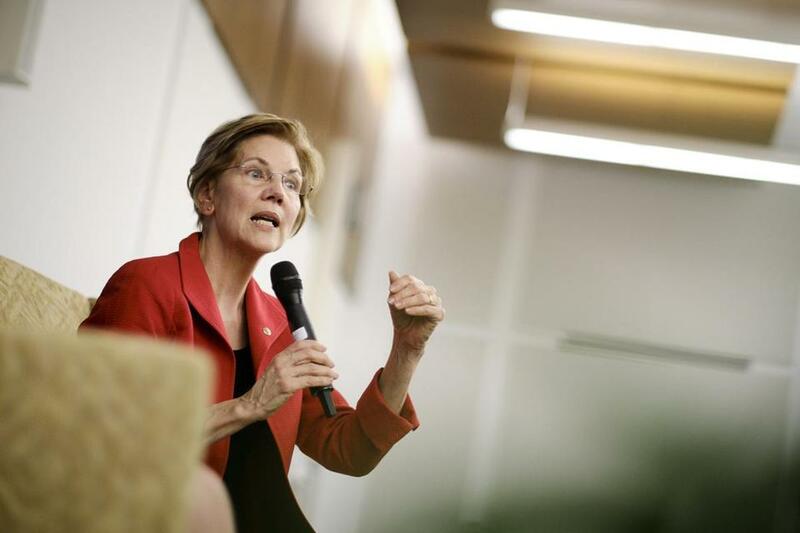 Senator Elizabeth Warren, who announced on Monday that she was forming a committee to explore the possibility of running for president in 2020, said Tuesday she plans campaign stops this weekend in Iowa, which holds the first-in-the-nation presidential caucuses in 13 months. The senator, who has not traveled to Iowa recently, is slated to visit several of the state’s major cities: Des Moines, Council Bluffs, Storm Lake, and Sioux City, according to The New York Times. In announcing the formation of the committee, Warren, 69, released a video that cast her as an agent of transformation for Americans who have felt left behind. The former Harvard law professor contends a small class of billionaires and corporate interests have hijacked the gears of government in Washington. Top Defense spokeswoman resigns abruptly after Mattis The Defense Department’s top spokeswoman, who had been under investigation since May over whether she mistreated employees, abruptly resigned Monday night within hours of the departure of Jim Mattis, the defense secretary. A Defense Department spokesperson on Tuesday confirmed White had resigned. Charles E. Summers Jr. replaced White, becoming ‘‘acting’’ assistant to the defense secretary, according to the Pentagon. Summers had served as secretary of state in Maine. Patrick Shanahan, a former Boeing executive and the No. 2 man at the Pentagon, became acting secretary Monday night, replacing Mattis.